wonderful people in your life! More pretty plants on their way! 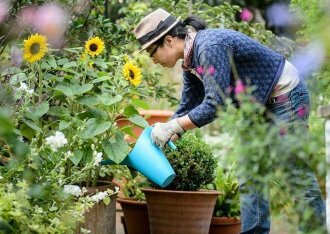 Strategize your path to a more satisfying and joyful garden by taking a fresh look at your gardening spaces…with thoughts on gardening through the seasons. Change happens. Our lives take twists and turns. New enthusiasms sprout up and old enthusiasms wane. 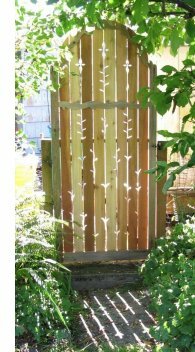 Our gardening space grows or shrinks, and site conditions change over time. 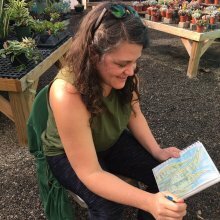 This talk will take a deeper look at overall garden design considerations - factoring in available time and space, changing conditions, agility, budget, soil life, and the joy factor. Free, but please pre-register at the Garden Shop or call 828-645-3937. FROM WILMA: Studies have shown that pleasurable activities including gardening raise levels of dopamine (the feel-good hormone). A couple of days ago I visited a friend who was tending her strawberry “patch”. We agreed that an outdoor gardening session especially after winter inactivity gives us a “feel-good” mood. Caring for a jungle of houseplants or just a few succulents also raise “feel-good” levels. Browsing through our greenhouses, nursery, seed displays, and gardening supplies can lift spirits. The Gift Shop is inspiring, too. Great selection of Lenten Rose right now! New spring stock arriving daily in our Garden Shop. Yesterday a customer visited in the morning and again in the afternoon. She couldn’t believe all the brand new things that popped up in the Garden Shop over that short period of time. 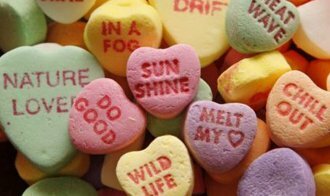 Valentine’s Day is on its way! 70 % Off Selected Perennials...There are still many goodies! It’s starting to bloom! The cheery yellow blooms of Winter Jasmine are heartwarming in February. 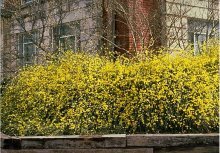 Winter Jasmine is a fountain-shaped shrub that can also be grown as a vine. It looks great tumbling over retaining walls with its oh-so-welcome blooms and low maintenance personality. Plant in full sun to part sun (flowers love sunshine). Zone 6-10. In stock now! Our first Sketch-It was so much fun that we’ve had requests to repeat it! Sketch pad, colored pencils, pastels, watercolor sets, camera. Sketch-It! is free, but limited to 10 participants. Please pre-register at the Garden Shop or call 828-645-3937. 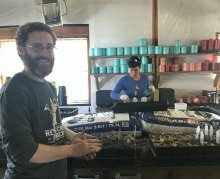 During this seemingly “quiet” time of year, we are super busy potting up plant-babies at our farm and at the garden center. 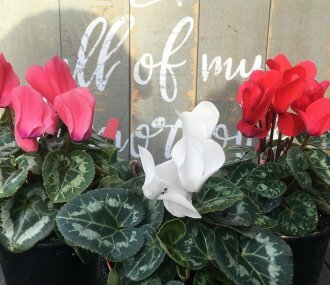 We grow some of our plants from seeds and some from teeny-tiny plants that we plant into larger pots for selling to customers. 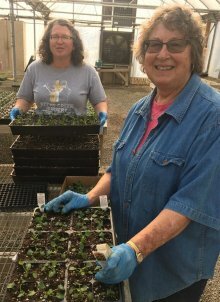 Right now, we are potting up pansies for spring planting, spring garden vegetables, and perennials of all kinds.